Join us for the #TEArifficPairs party! Do you love a good Twitter Party? You know we do and we’re excited to host a party about what Lipton® tea and how it is a refreshing drink for the hot summer months! On June 12 from 3-4pm pm ET, please join us for the #TEArifficPairs Twitter Party where we’ll be discussing all things tea and fabulous summer drinks all while giving you a chance to win prizes! I don’t know about you but when the summer months come around, I like to sit down, relax, and enjoy a nice glass of Lipton® tea. Lipton® offers Fresh Brew Tea bags and you can enjoy a glass of iced tea without any effort on your part at all! They do all the brewing for you! All you need to do is enjoy tea the way you like and relax. What could be better than a nice glass of Lipton® Fresh Brew Tea in the scorching temperatures. 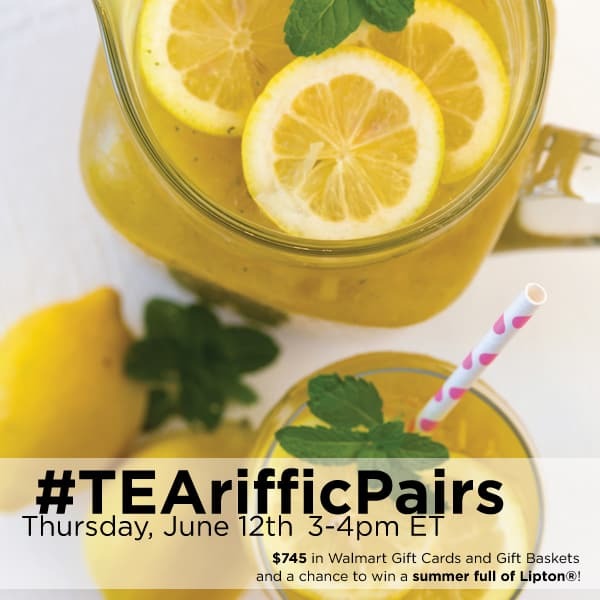 I hope you will come chat with us about favorite ways to serve Lipton® Tea and recipes for #TEArifficPairs. It is sure to be a great party! 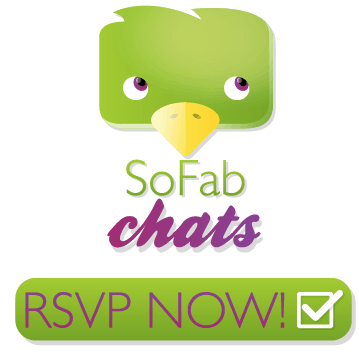 Join me and RSVP for the #TEArifficPairs Twitter Party on SoFabChats! Summer-ful Lipton® Gift Baskets will each contain: (1) Lipton Fresh Brew Tea Bags, 100 Ct, (1) Lipton Green Tea Bags, 40 count, (1) Lipton White Tea Island Mango & Peach Beverage, 18 Pyramid Tea Bags, (1) Lipton Pineapple Chamomile Herbal Tea, 18 Pyramid Tea Bags, (1) Lipton Indulge Rich Black Tea K-Cups, 18 Count, (1) Lipton Indulge Rich Black Tea K-Cups, 18 Count, (1) Lipton Tea & Honey Summer Peach Liquid, (1) Lipton Lemon Sugar Sweetened Iced Tea Mix, 74.2 oz, (1) Lipton Tea & Honey Blackberry Pomegranate Iced Tea Green Tea Mix Pitcher Packets, 5 count, (1) 3 Qt Infuser Pitcher, (1) 2-pack Water Bottle with Infuser, Recipe cards. Thanks so much for the love! Looks like a fun twitter party and the prizes are awesome!